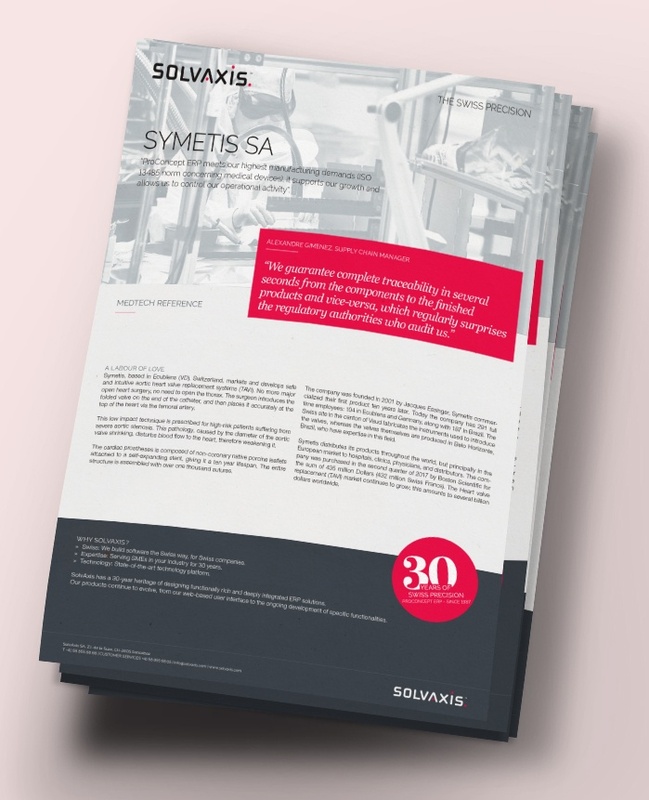 Symetis, based in Ecublens (VD), Switzerland, markets and develops safe and intuitive aortic heart valve replacement systems (TAVI). No more major open heart surgery, no need to open the thorax. The surgeon introduces the folded valve on the end of the catheter, and then places it accurately at the top of the heart via the femoral artery. Discover the success story of Symetis and its achievements with the business management software ProConcept !